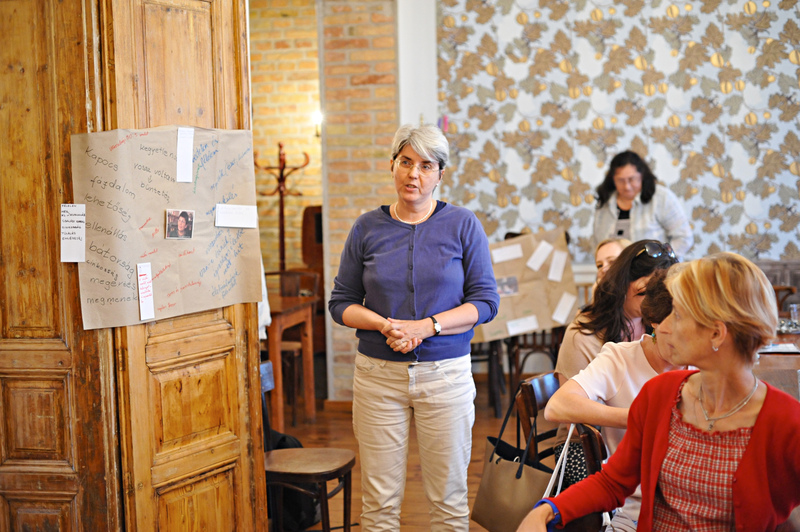 After an intensive six-days of learning how to teach with testimony, 19 educators from throughout Hungary completed the first part of the 2016 Master Teacher program in Budapest. 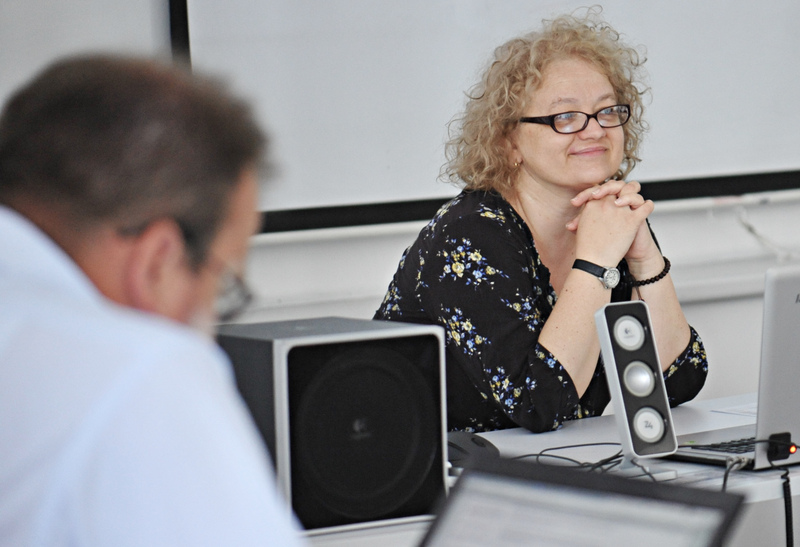 The Master Teacher program continues to grow in popularity among educators in Hungary through the recommendations of previous graduates to their colleagues. Many educators had already been introduced to Teaching with Testimony at previous ITeach seminars. This year’s attendees were a diverse group of educators who teach history, language and media literacy at public and religious schools. Additionally, there were two observers including a Masters of Education student who has already developed a testimony based program and an literature teacher for high school students living in dormitories in Budapest. 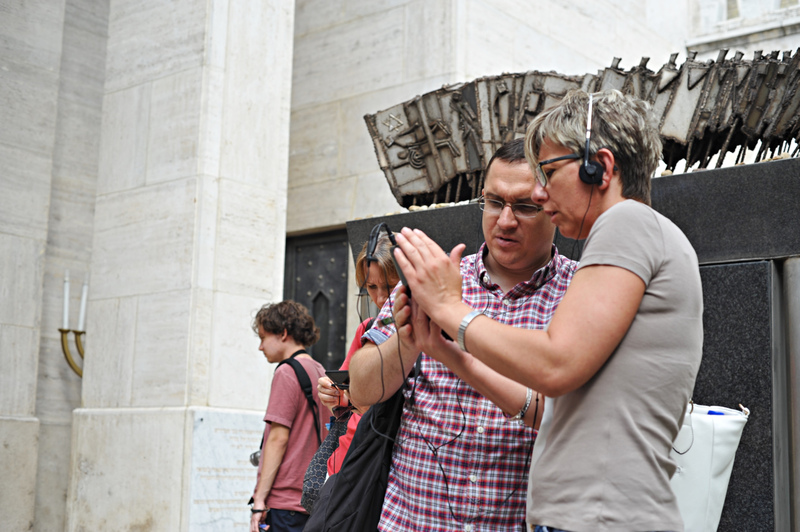 A USC Shoah Foundation’s professional development initiative, Master Teacher (formerly Teaching with Testimony) is a two-year program that incorporates workshops, mentoring, and community building to prepare educators to search for and utilize testimony from the Visual History Archive, as well as other digital learning tools such as IWitness. After the initial session, teachers return the following year to share the testimony-based lessons and classroom activities they have created and piloted. 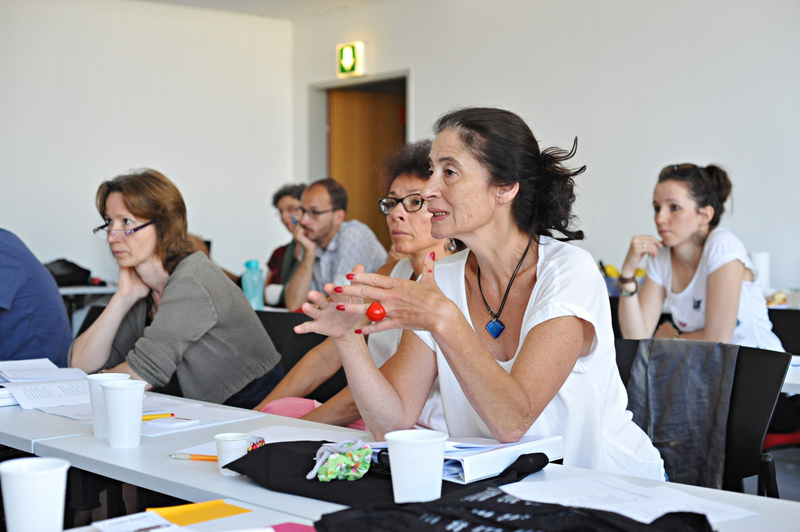 Teachers in this year’s program attended sessions on local history and memory, the use of testimony in education, social psychology, the role of media and propaganda, ethical editing and daily hands-on sessions on the use of the Visual History Archive and IWitness. 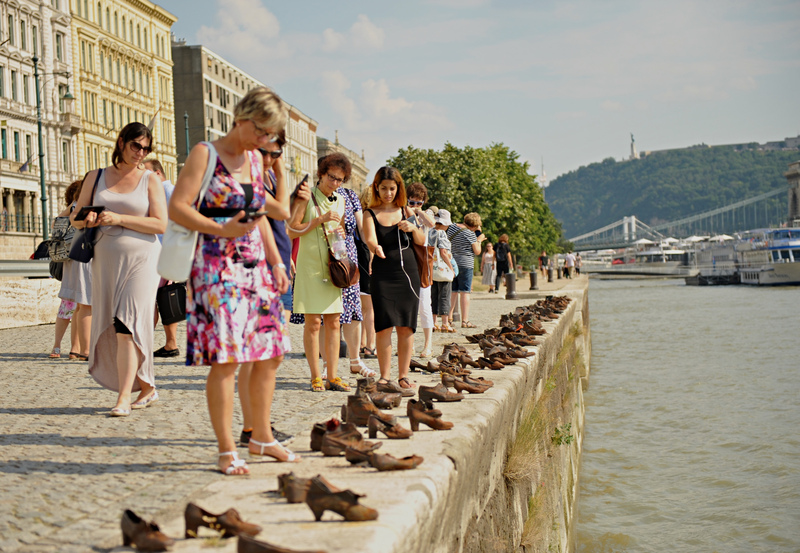 They participated on IWalks to two different locations in Budapest, and discussed the larger picture about using testimony in the educational context of the 21st century. Educators worked with the testimony of Holocaust survivor Lajos Erdélyi as part of their pre-task activity and during the program. They then had the pleasure to meet Erdélyi and his wife during a special dinner and documentary screening. The approach and methodology of using testimony offered to participants makes the Master Teacher program unique. This program also focuses on multiple perspectives and stresses the importance of the local element in the teaching of larger historical concepts. During their first session of research in the Visual History Archive, many educators searched for testimonies of witnesses from their hometown to gain an understanding of what life was like there before, during, and after the Holocaust. Teaching with testimony in general allows teachers to expand access to a broader range of topics, including but not exclusive to the Holocaust. 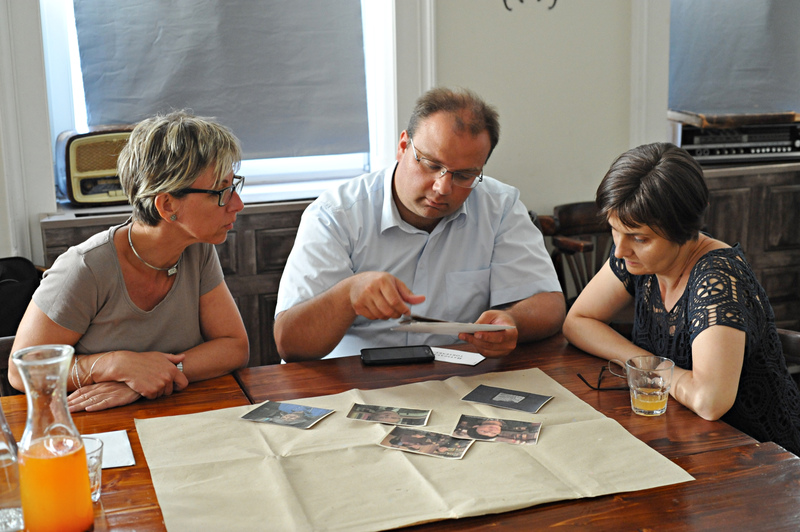 Testimonies in the VHA and IWitness represent 20th century history, which can be difficult in Central Eastern Europe, including Hungary, said Andrea Szőnyi, USC Shoah Foundation international training consultant based in Hungary who organized the program. "We are training teachers to use testimony to meet their educational objectives. They can use testimony to teach about a multitude of topics including dilemma situations, choices, stereotyping and prejudices and sometimes they choose to teach about our difficult history,” said Szőnyi. In addition to Szőnyi, presenters were local university experts Aletta Forrás-Biró (ELTE University, Faculty of Education and Psychology), Péter Bérczi (librarian, Central European University), Ildikó Barna (sociologist, ELTE Faculty of Social Studies), and Mónika Kovács (ELTE University, Faculty of Education and Psychology). Historian Krisztián Ungváry led a talk on the historical memory in Hungary. Previous Master Teacher graduates Ingrid Alexovics, Zita Gonda, Mónika Mezei, and József Molnár presented their testimony-based lessons. 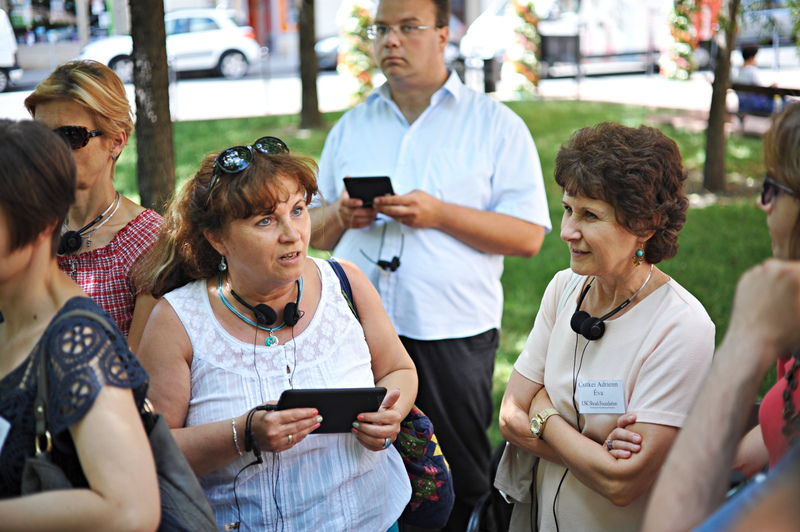 Nárcisz Vida, a colleague of Szőnyi and leader of education programs of the Zachor Foundation for Social Remembrance, led teachers on an IWalk through the former Jewish ghetto to provide historical context. Kori Street, director of education at USC Shoah Foundation, also traveled to Budapest to give a presentation on testimony, digital literacy and responsible citizenship.Martin Šmok, senior international training consultant for USC Shoah Foundation in Czech Republic, spoke about the role of media and propaganda. Additionally, for the first time, the Teaching with Testimonz program included a simultaneous pilot of five Hungarian language IWitness activities with a group of 10 high school age students. 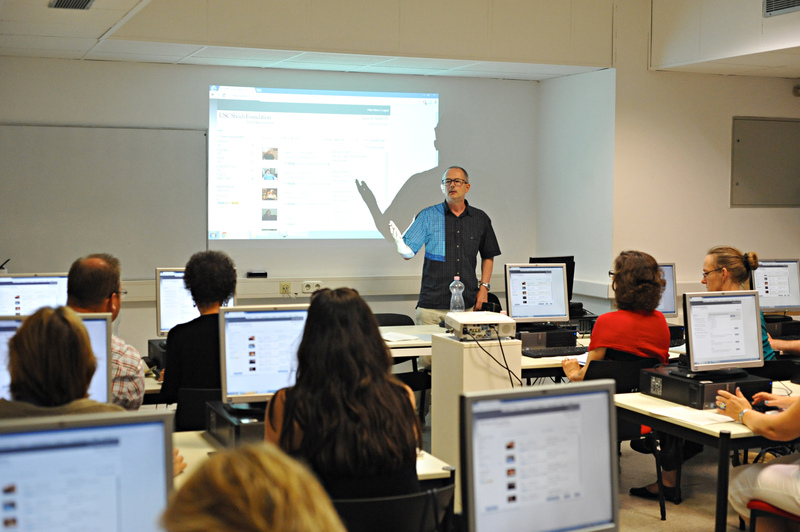 Educators and the workshop leaders were pleasantly surprised how engaged the students were with IWitness, especially on a Saturday afternoon in the middle of the summer holidays. After six days of working and learning, educators were all inspired to start working on their testimony based lessons, which they will develop in the next year. Educator Adrienn Csitkei found testimony, the IWalks and IWitness to be very impactful. At the end of the workshop she was brainstorming ways to integrate testimony into her curriculum including possibly an IWalk or a lesson based on testimony from a survivor who attended the school she teaches at. Csitkei was looking forward to seeing how testimony will impact her students. Szőnyi was very impressed by the 2016 Master Teachers and looks forward to their reunion next year when they will present their lessons and insights on teaching with testimony in the classroom. 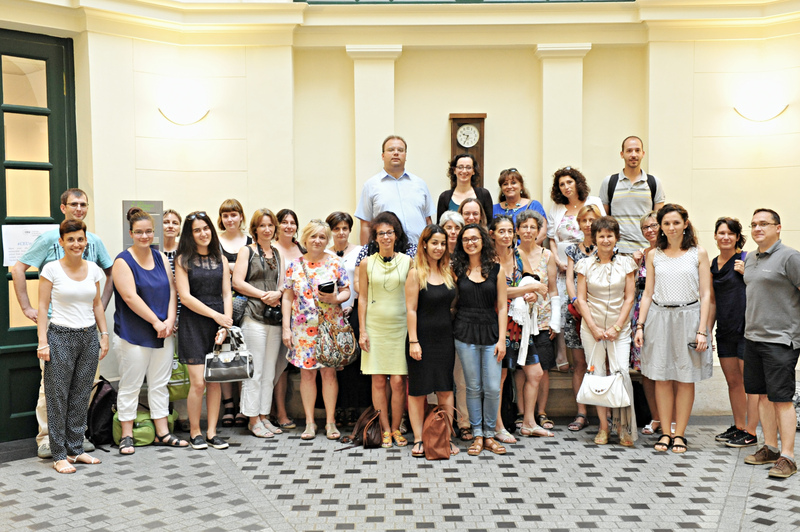 Highlights of the 2016 Master Teacher program in Budapest. 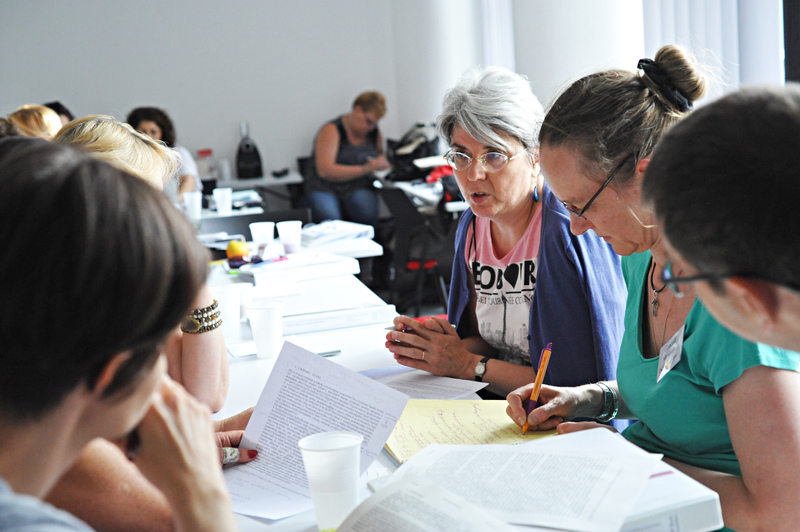 A USC Shoah Foundation’s professional development initiative, Master Teacher (formerly Teaching with Testimony) is a two-year program that incorporates workshops, mentoring, and community building to prepare educators to search for and utilize testimony from the Visual History Archive, as well as other digital learning tools such as IWitness.